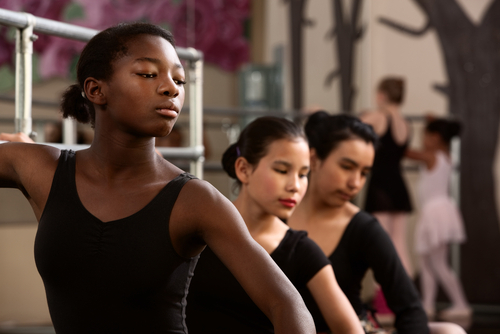 Dancing appears to improve the mental and physical health of adolescent girls, Swedish researchers report online this month in the Archives of Pediatric and Adolescent Medicine. A total of 112 girls with depressed mood, low self-worth, and/or psychosomatic symptoms participated in the study. Fifty-nine of them were randomized to a dance class twice a week for eight months. The remaining 53 received no dance class and served as controls during that period. The dance practice involved moderate to vigorous physical activity and included several different dance styles. Both groups were given a health self-rating instrument on which they described their mental and physical health at the start of the study and then again at the end of eight months. The dance group reported better health than the control group did. A significant difference between the groups remained a year after the intervention had ended. Exercise has been found to benefit people's mental health in other ways as well. For example, the evidence is growing stronger that exercise can avert depression. See Psychiatric News. Exercise can likewise reduce amyloid plaques, the hallmark of Alzheimer's disease, in the brains of cognitively normal individuals, including those who carry the APOE-e4 gene variant—a risk factor for Alzheimer's. See that report in Psychiatric News.